Snuggle Island Dreams® Scent Boosters Concentrated Scent Pacs Snuggle Scent Boosters® are an easy and convenient way to give your laundry a big boost of freshness Try it with your favorite Snuggle® products for long-lasting freshness plus static control and the ultimate in Snuggly Softness® For a full ingredient list, please visit us at www.sunproductscorp.com or call 1-855-835-5786.For more information and latest Snuggle® news visit www.snuggle.com or follow ©2015 The Sun Products Corporation. Simply toss in washer! Long lasting scent. Squeeze & sniff. 20 loads*. He. Safe for all washers. 400g (14.1 oz). Just toss pac(s) in at the start of the wash and enjoy the long-lasting boost. Little Pac. Big Snifference®. Large loads. Regular loads. Pac dissolves completely in all water temperatures. Great for all types of clothes including activewear and sleepwear. Freshen, soften, control static. 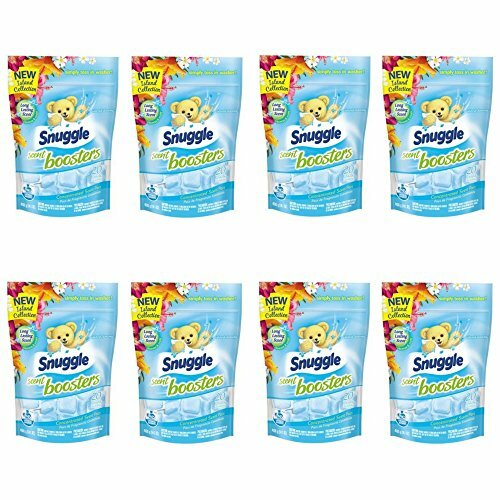 Snuggle® at: *This package contains 20 loads if used as indicated for regular loads.